September sees the summer draw to a close and the schools begin their new academic year. Sigh. Here at Hampergifts HQ, we thought it would be the perfect time to comfort your woes with a fantastic giveaway. Simply tell us why you deserve a treat this summer and you’re in with a chance of winning an awesome hamper. 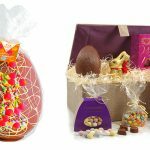 There are two fab hampers up for grabs; one for picnic lovers and one for those with an immensely sweet tooth. If you want to make the most of the last bit of summer sunshine then this picnic hamper is definitely for you. Rustle up some cheese and pickle sandwiches and treat yourself to an outdoor meal for two; it might be the last chance you get to dine al fresco this summer. For a touch of class why not take a bottle of wine with you and make it an intimate feast for two? Click here to check out the full contents of the Picnic Food Hamper for Two. If the thought of returning to school gets you down in the dumps, then this retro sweet hamper will quickly pick up your mood. 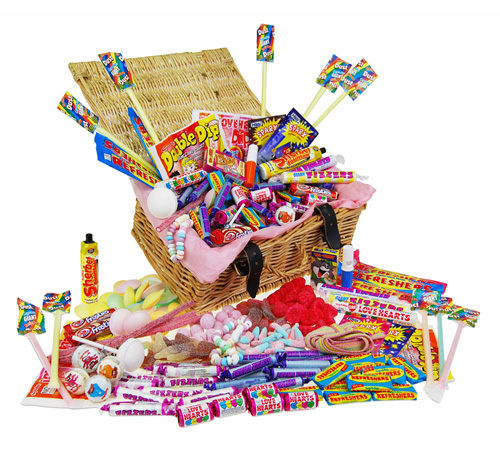 This yummy hamper has a whopping 27 different classic sweets…hands off mums, they’re not for you! Click here to check out the full contents of the Fizzy Favourites Retro Hamper. To enter this competition you simply need to tell us why you deserve a treat this summer and which hamper you would like to receive using the Rafflecopter widget below. Good luck! Closing date is 12 noon on Monday 31st August 2015. Two winners will be selected, one for each hamper. I would love the picnic hamper to help shake the post holiday blues I have since coming back off holiday yesterday! The picnic hamper for 2. It looks lovely. I would love to treat my parents to this hamper. I deserve a treat because I have been working so hard in therapy, am beginning to actually like myself, and want to celebrate 8 years since my kidney transplant. I want to win the Picnic food hamper, though I would share it with my therapy group at our bring and share meal. I’d love the Picnic hamper. It has a lovely mix of savoury and sweet. I just deserve a treat for the hell of it. I would love the picnic hamper. It looks fantastic. This would be such a treat to share with my family. 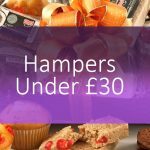 I would love to treat hubby to a hamper as he has been looking after both myself and daughter who have long-term illnesses as well as the house and working part time. I would love to win him the sweets hamper as he has the sweetest tooth ever! I’d love the Sweet Hamper. I’m currently six months pregnant and craving everything sweet! Id love the hamper for 2 to share with my son who is heading off to Uni for the first time this September. Would love to spend some quality time enjoying a quality feast with him in this way before he goes. I think I deserve to win a hamper because I finished uni in June, had 3 days off, and then have spent the whole summer working and deserve a treat! I deserve the picnic hamper because it’s raining outside and we’re all stuck inside. I would love the picnic hamper for two, just to show my husband I haven’t forgotten him as sometimes I think with all the kids around he can feel rather neglected! I’d love to win the Picnic Hamper for Two because we have braved the not so nice weather this Summer going on long walks and having BBQs even if they ended up indoors. this would be a lovely reward for our persistence! I’ve had a hard summer with both cars being broken down and walking everywhere with my daughter, etc. This would be a lovely way to end the summer. I would love the picnic hamper for two for a delicous lunch whilst resting on a coastal walk. I would chose the hamper for 2 and give it to my hubby to share with me!!! as he’s worked very hard this holiday. I’d love the picnic hamper, we try to go for a picnic every time the sun comes out and it would be so lovely to carry it all in that hamper rather then our plastic bag for life. 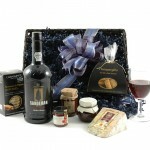 I think I deserve Gourmet Treats Wine Hamper for trying to do all best I can do for my family. I deserve a picnic hamper because I’ve wanted one for years and as the saying goes…good things come to those who wait! The hamper for two as me and my partner have worked hard for the last year saving for a rental deposit. We are now finally renting our first place together so we would love to relax and enjoy this hamper! I would love the picnic hamper and I think I deserve it after surviving almost to the end of the school holidays with most of my sanity still intact! I’d love the hamper for 2. Ive spotted the Gooseberry & Sloe Gin Jam and would love to try it!! We’d love a picnic hamper as with 2 children (youngest is 1) it’s easier to go and eat al fresco sometimes than to try to get them to settle in a restaurant. They can enjoy food and run round in the great outdoors! I’d love to win the Lindt basket because it’s my wife’s favourite. The biscuits & cheese one for me! Me and my Husband are in our early 20’s but we’re like a 50 year old couple! This one would suit us much better 😀 but im pretty sure my husband would want the sweet one! The Picnic Hamper For Two! Me and my daughter deserve it as we have both been very dedicated to working out and are becoming fitter and healthier every day, so it’s nice to have a treat every now and then to keep us going and as a little reward. Love to win the picnic hamper because when we move house we will not have time to get food and this would help us out a lot! We’ve had hardly any summer at all up north. The picnic hamper for 2 would ensure we sat out in the last of the summer sun in style! I would love the Picnic Hamper for 2. I’ve been unwell recently and haven’t been able to go outside and enjoy any sunshine or outdoors living. I’d love the picnic hamper for two. I don’t deserve it more than anyone else but would love it as my husband and I have hardly seen each other this summer due to work commitments but we’re getting away at the end of September and determined to have a picnic – even if that’s in a storm and served up in the car! I’d love to win any of the hampers, as they all seem beautiful, and if I did win, I would make sure to share it with my long suffering family! It’s the hubby’s birthday in September. The hamper would make an interesting and romantic celebration! I’d like the sweetie hamper so that I can spoil myself post-diet with some retro treats! The picnic hamper for two because it my 60th birthday on 6th September and what a lovely birthday present this would make, just for me!! I would love to win the picnic hamper for two for my husband who deserves a romantic and indulgent picnic as he’s super stressed at work at the moment. I would love to win the picnic hamper for two. My partner and I rarely have time to spend together ,so this would be perfect for us to escape from the routine and enjoy some September sunshine together. I would love the picnic hamper, I am 8 1/2 months pregnant and had to miss out on all my favourite cheese and pate etc. Could make up for all that very quickly with this lovely box! Would like the picnic hamper as I can treat my family to a lovely picnic treat! Because I have always wanted to win one, and I would share it with my beloved girlfriend. It would make us both very happy, and making people happy is a great thing to do! 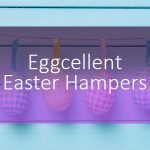 I probably don’t deserve a hamper any more than anyone else, but could do with some sweet treats to give me the motivation to work (I’m a freelancer) after a break away! I would like the Pol Roger Champagne Hamper because I love a bit of fizz! I would love to win the picnic hamper, everyone deserves a treat and I would pick my bestie and her two daughters up, go and find a nice big park in the sunshine and me and my bestie could have a picnic whilst her gorgeous daughters run around and play in the sunshine – picnic english stylee! The picnic hamper as a surprise for my boyfriend who I don’t get to see very often as he has moved 100s of miles away for work. I’d love the picnic hamper so that my husband an I can have a romantic picnic together. I would love the picnic hamper for two, as spirits low, finances chronic, sunny picnic for 2 would be the perfect tonic! i would love a picnic hamper for two. I deserve this hamper because I am pregnant and could do with some more energy and treats! Well… this is a bit of a moan I’m afraid but I’ve bit my tongue all year so feel I can let fly anonymously now! I feel I deserve the picnic hamper to treat myself- I gave birth to my first child in December (YAY! The rant is not about him, he’s fab) which is magical, BUT his dad and my fiancé has since managed to FORGET MY FIRST MOTHERS DAY which really stung, especially as he lied for a week and said that he’d just forgotten my present and card in his locker at work. I didn’t want much, but a card from my boy would’ve made me so happy…. Last month was our 6 year anniversary. We went for a weekend away, just the 3 of us, to mark the occasion. So I’m sorry to be so grumpy, but I’d just love to take some me time and enjoy a basket of lovely treats! I deserve to win as I’ve had to endure working from home with 2 teenagers that have done nothing other than bicker, 3 cats who have been going crazy as it’s done nothing but rain and one hubby who thinks he has married Cinderella. My family would be over the moon to receive a Fizzy Favourites Retro Hamper in the post. It would get me some brownie points. I would love the picnic hamper for two! We are saving for our wedding in June and we’re in desperate need of a well deserved break from sitting it all the time and saving! It would be great to have a lovely relaxing picnic in loch lomond as a treat!! I would love the hamper for 2 to use it to surprise my hubby for his birthday. I’d love to win the champagne breafast hamper because I’ve not long come back from a really relaxing holiday and I’m finding it hard to get back into the swing of my normal work routine. The hamper would give me a nice excuse to take an hour out and relax again (and pretend I’m still on holiday!). I would love the picnic hamper for 2 so I can treat my husband. He works so hard to provide for me and our four kids. It would be lovely if we could go on a romantic picnic together and just enjoy each others company. I’d love to win the picnic hamper to share a picnic with my boyfriend, he deserves to win it. He made possible for my dad to come visit us to the UK. We love going to the beach so I think it’d be a lovely surprise to win the hamper and go on a picnic to our favourite beach. 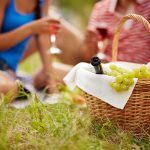 Oooh, I would love to win the Picnic Food Hamper, so stylish and out of my normal budget as we’ve just got married and are expecting baby number 1 so every penny is being saved and no booze for me! I’ve recently had surgery on my ankle and have been housebound for 4 weeks with another 6 weeks to go. I’d love to win the beautiful picnic hamper so I can plan a lovely daytrip for early Autumn when I’m back on my feet at last! I would like the retro sweets hamper so i can share it with all my 2 kids and all 7 of my neices and nephews at christmas. I derseve to win so i can can get some peace and quiet while they are eating the sweets. I would simple adore the picnic hamper for two because picnics have always been a firm family favourite and we have several scheduled each year for family get togethers. There is something idyllic about picnics where etched memories resurface and people catch up with each other as if there had never been any absence! I deserve it because I appreciate the value of picnics that stretch much much further than the contents of any hamper – to me they represent unity, comradeship, sharing and reigniting relationships. A very singularly unique experience. I would like the picnic hamper for two so I could treat my friend who is having a hard time of things at the moment to a day out. I would love this hamper as a treat for me and hubby and our 8 month old baby before I go back to work in September! Would love this for my mother in law and father in law. They really do deserve this treat. I’d love the Picnic Hamper for Two. Its our silver wedding anniversary in September so this would make a nice extra surprise for a picnic out. I would love to win the hamper for two. It would be nice to have a picnic with my other half before he goes away for work for a year! I’d love the picnic hamper for 2! We’re about to move house and everything’s so up in the air – it would make a lovely treat! The hamper for two would be lovely so my children could picnic in our local country park and relax after working hard for exams. Would love to win the picnic hamper so me and my partner can spend some quality time together which is a rare thing. I would love the picnic hamper. I deserve it because life with me is one giant PICNIC ! love to win as hubby has just retired and we’re looking forward to spending time together – the picnic hamper for 2 would be great for our outings and a lot more special that our quick ham sandwiches and crisps stuffed in a backpack! I would love to win as it my wedding anniversary soon & this would be the most perfect way to celebrate it me & my husband could go for an amazing picnic with all this wonderful treats. 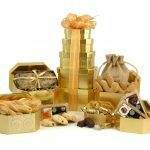 All of them look great, but the Indulgence Hamper looks, well, most indulgent! I’d love to win this Hamper for 2 as both my husband and I have been without a car for a while and missed our country walks and picnics. We are now able to get out and about again and this would be perfect for us to take to the Peak District and treat ourselves! The weather has been so bad that I haven’t been able to have one picnic this year. It would be nice to have one really special one. I would like to,win the hamper for two so It would encourage my husband to take me out! Id just love a treat and would pick the fizzy favourites hamper. I would love to win the picnic hamper for two to share with my husband and to have some quality time just the two of us! Picnic Hamper for Two please so I could picnic with my lovely husband. I would like the classic hamper because I have been stuck indoors over the summer as hubby had to use my car after an accident wrote his off. I have not been able to visit the woods to picnic and walk the dog and have had to rely on local park. The picnic hamper would be great for when my husband and I are out exploring the countryside. 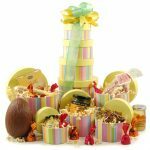 It’s packed full of delicious, tasty items and the hamper is so stylish and useful. We deserve a treat as we have worked hard renovating the house this year, and it would make a wonderful surprise. I’d love the hamper for 2 pleae as it would be lovely to share with my family on a day out! My Dad really deserves a hamper for all he has been through these past few years. I know he would love the retro sweets hamper. Picnic Hamper for two – birthday picnic indulgence. I’d like the picnic hamper for 2, and would take my husband on a lovely day away – he really deserves a treat! I would love the picnic hamper to treat my Hubby simply to say Thank you for all he does for me. A PICNIC HAMPER FOR TWO WOULD BE JUST GREAT TO TREAT MY PARTNET AND MYSELF ESPECIALLY FOR HIS AS HE IS A HOUSE HUSBAND AND TREATS ARE FEW AND FAR BETWEEN. I would love the Picnic Hamper for two. It looks amazing and me and hubby could take it with us when we go camping to the Highlands and enjoy it with the mountains and blue skies all around us. I’d love the picnic hamper for two and I think I deserve it (or rather my grandmother deserves it!) as she’s going through a lot of stress at the moment and I think it would be really nice for us to enjoy this together. It would be a pleasant surprise for her. I had great plans for lots of days out this summer but they were scuppered by a large electrician’s bill (the smoke alarms went off at 4.30am one Sunday morning and a pendant light had begun to burn the fitting!) and an even larger vet’s bill at the beginning of August. Although the summer has been lovely, I am SO disappointed that I couldn’t afford any days out with the children. I’d be thrilled to win the picnic hamper we could have a make believe picnic in the woods in the back yard. I would love the picnic hamper for 2. My husband works very long hours, often away from home so it would be a lovely treat for the 2 of us to enjoy when he finally gets some time off. The hamper for 2. so i can have a lovely picnic with my hubby. i would love to win the Picnic Hamper for Two so that i can celebrate meeting my girlfriends passing her driving test. I don’t “deserve” to win more than anyone else but I’d really love to win the Funky Scented Bath Gift as I enjoy my baths in the evening as, with 2 children under 5, it’s my only alone time! Would love to win the chocolate hamper. Would love to give my grandchildren treats on the days I look after them. I enjoy doing it but I deserve a treat too. 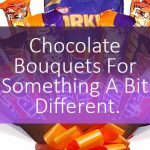 I’d love to win the Lindt basket because it’s my hubbys fave chocolate. I would love the picnic hamper for two as we’ve stayed close to home this summer we have a lot of day trips and my sons love picnics. My 2 year old gets so excited when he sees me lay a blanket on the ground for us to sit on and my 7 year old loves to help me lay the food out. So although I wouldn’t say I deserve it I know it would bring great joy and happiness to my little men for the last few weeks of summer. My hubby deserves a hamper for all that he does for us. I’d choose a cheese hamper. I deserve to win the Picnic Hamper for Two because it will be a really treat from my friend and i and i can surprise him. Well I don’t suppose I deserve a hamper more than anyone else as we all have ups and downs in life but I’d love to share the sweeties hamper with my friends! Great Prize for the last of the Summer. I know my kids would adore the Fizzy Favourites Retro Hamper, but they get spoiled so much by their grandparents with treats like this, I would really like the picnic hamper for two for me and my husband just because it would be nice to surprise him with a romantic gesture. The retro one looks amazing! I would give hamper to my mother she loves picnics! I would love the picnic hamper for 2 to take my Mum for a picnic to cheer her up on the anniversary of my Dad suddenly passing away. This would help to make the day a bit happier. I deserve a hamper as I am expecting my first baby in 2 weeks and will need some snacks to help me through the sleepless nights. I would prefer the Picnic Hamper. I’d love the hamper for 2, would be fab to surprise hubby with a romantic walk and picnic. 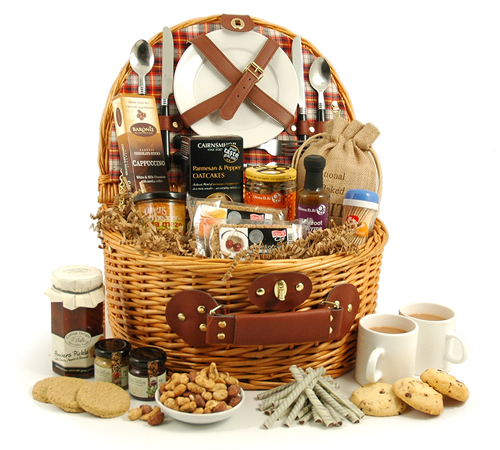 I’d love to win this hamper, so me My partner can go on a lovely picnic together. I’d love to win the Lindt basket because it’s my Mum’s favourite. I would love to win the picnic hamper for two, it looks perfect for a picnic in the forest on a cooler day, I would take along my husband & flask of tea. This would be a great way for us to celebrate our 7 year wedding anniversary.